CBD Oil Dosage: What’s it for, and how much should I take? As we’ve written before, CBD may be the most talked-about subject in the entire world of cannabis. And CBD oil has sparked a movement all its own—asking many to wonder what the right CBD oil dosage is. CBD, of course, is the second most-prevalent cannabinoid, or “active ingredient” in the cannabis plant. What makes its sudden surge in popularity all the more remarkable is that unlike its cousin THC—the most abundant cannabinoid—CBD isn’t psychoactive. That’s right: It’s a huge component of cannabis, but it doesn’t get you high. What gives?!? As it turns out, CBD is responsible for a laundry list of other effects in our bodies. In addition to mitigating some of THC’s excess psychoactivity, CBD has been shown to provide effective relief from several types of pain, anxiety and depression, and a whole range of other symptoms and conditions. CBD is present in nearly all strains of cannabis to some degree, but because we typically want to access it for medical rather than recreational purposes, it’s often found in the form of CBD oil. Dosage is much easier to control in this concentrated form, and because consuming a dropper of amber-colored liquid tends to attract less notice than, say, sparking up a joint, it tends to be a far more discreet and socially acceptable practice. But that invites a question: If this powerful medicine can do so much good for our bodies and our minds, how much should we really be taking? Let’s examine that question in depth. Simply put, CBD oil is an extract, or concentrate, of high-CBD cannabis in a liquid medium such as neutral coconut or palm oil. Like cannabis in flower form, it’s typically available in a variety of ratios denoting its CBD-to-THC composition. The greater the proportion of THC, the more psychoactive it will be; some CBD products—such as those derived from wild hemp—contain little to no THC and thus aren’t psychoactive at all. Unlike smoked, vaporized or otherwise inhaled cannabis, CBD oil takes a little longer to take effect, typically from about 20 – 60 minutes depending on factors such as how much food you’ve consumed beforehand. Because this product is metabolized via the stomach, a fuller tummy means a longer onset time. That said, the effects of CBD oil typically last anywhere from two to six hours at a time, one of the reasons it’s such an in-demand remedy for relief from pain and other symptoms. What’s the Best CBD Oil Dosage for Me? Okay, but how much CBD oil should I take at a time? In addition to highly personal factors such as your genetics and sensitivity to different medications, it depends. Generally speaking, if you’re using cannabis for medical purposes, it’s good policy to shoot for the lowest effective dosage. For some people, that may mean 25 milligrams (mg) a day; for others, only 3 mg may have the same beneficial effect. Your body mass can be a helpful indicator here. A rule of thumb is to take 1– 6mg dose of CBD oil for every 10 pounds of body weight. If this has too little effect, try a slightly larger dose after a few days; if it addresses your symptoms immediately, try ramping the dose down to as low as it can still be effective. Chronic Pain: 2.5 – 20mg of CBD [with or without THC]. Sleep Disorders: 40mg – 160mg of CBD. Epilepsy: 200 – 300mg of CBD daily. Loss of Appetite in Cancer Patients: 1mg of CBD with up to 2.5mg of THC for six weeks. No matter your CBD oil dosage, it’s good practice to dispense the oil under your tongue and then hold it there for 60 seconds. This helps speed the absorption through the blood vessels found there. We recommend you keep a notebook with your dosage and observed effects. Because our bodies’ cannabinoid receptors change over time, it’s a safe bet your best CBD oil dosage will change as well. Keep track of your progress and adjust accordingly. Interested in learning more about CBD? 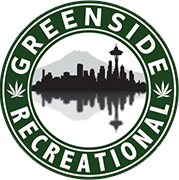 Stop by one of our Washington dispensaries to check out what we have in stock, or visit our online menu to order ahead. Next Does Cannabis Affect Women Differently?